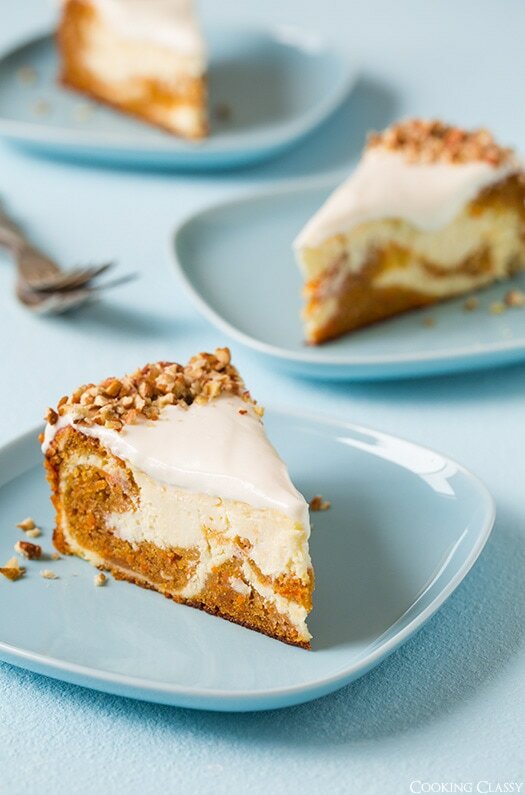 Two of my favorite cakes come together to make the ultimate spring dessert, this decadent carrot cake cheesecake. 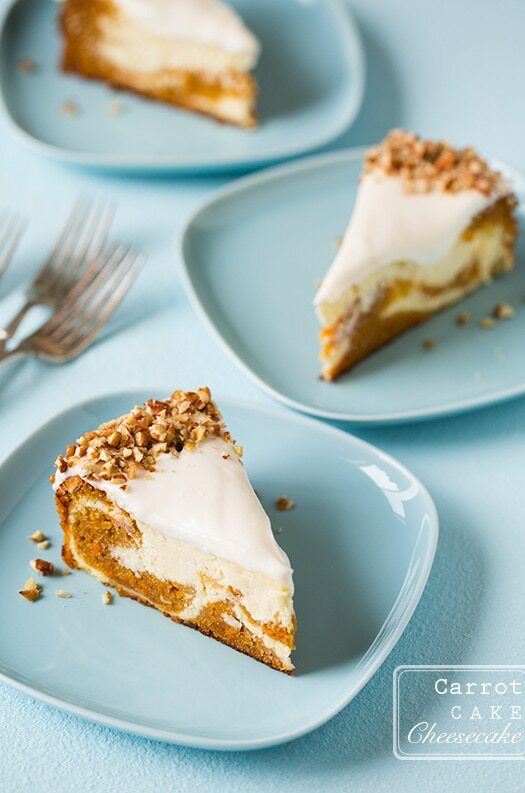 If you like carrot cake or cheesecake, you have to try this one! It’s an elegant dessert that is certain to impress. It would be perfect to make for Easter or an upcoming birthday. Really, who wouldn’t love this? The ingredients and directions do look rather lengthy, but this is easier to make than the recipe makes it appear. 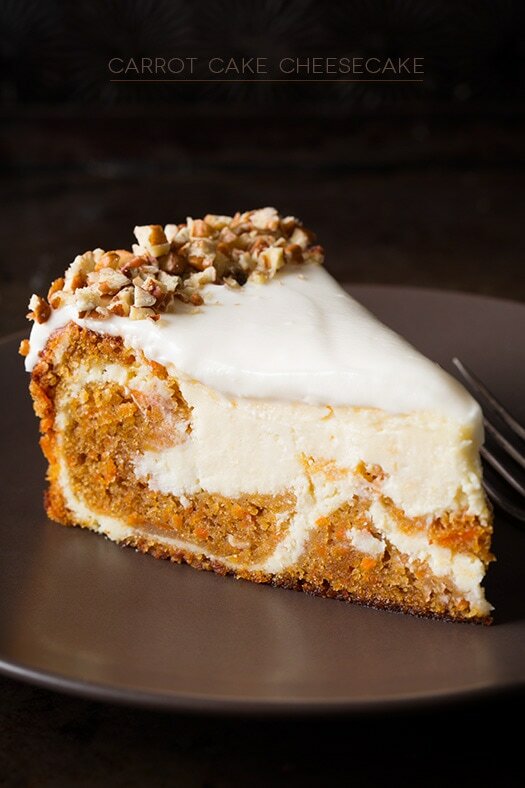 Besides, even if it took hours to make, it’s worth it, this is carrot cake cheesecake! The hard part of this is the wait. 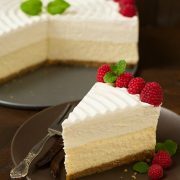 Yes, cheesecake requires that long cooling and refrigeration period but the patience pays off once you get to sink your fork into a piece of this utterly divine cheesecake, through each of those irresistible layers, and you get to slowly savor each and every bite… Enjoy! 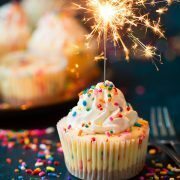 A show stopping dessert that's much easier to make than you'd think! Two of the greatest desserts collide to make one unforgettable cake. In a mixing bowl, using an electric hand mixer, whip together cream cheese and butter until smooth. Add remaining topping ingredients and mix until pale and fluffy, about 4 - 5 minutes. 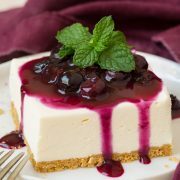 Spread evenly over cheesecake then chill cheesecake in freezer for 20 - 30 minutes. Sprinkle edges with chopped pecans. Cut into slices. Store in refrigerator in an airtight container.